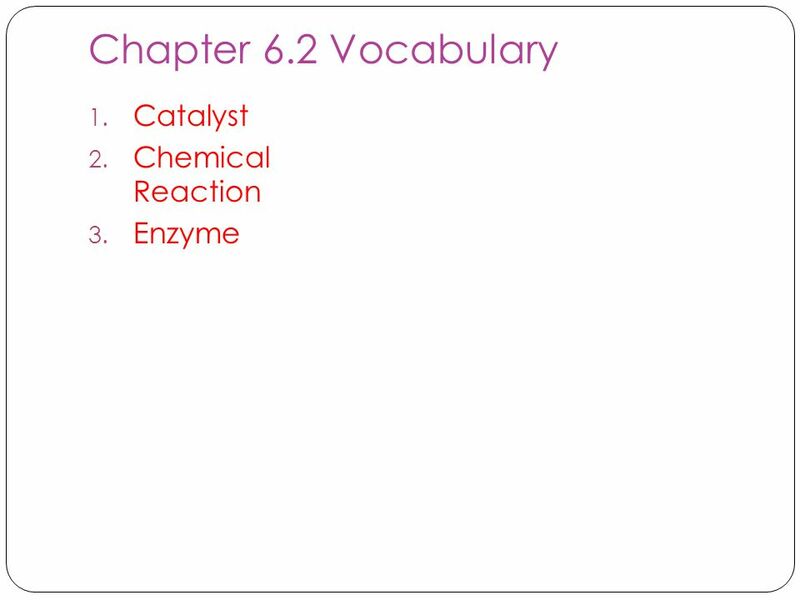 Chemistry in Biology Mr. Wagner Biology. 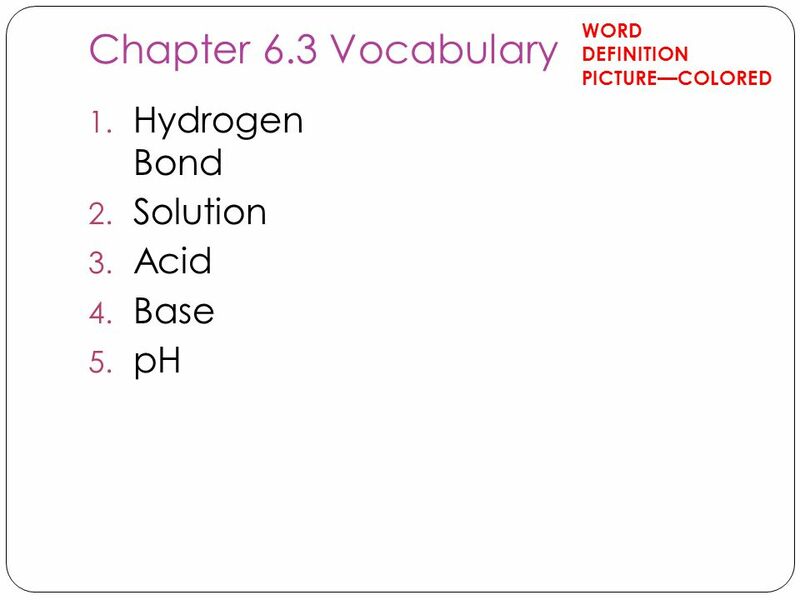 5 What is Chemistry? 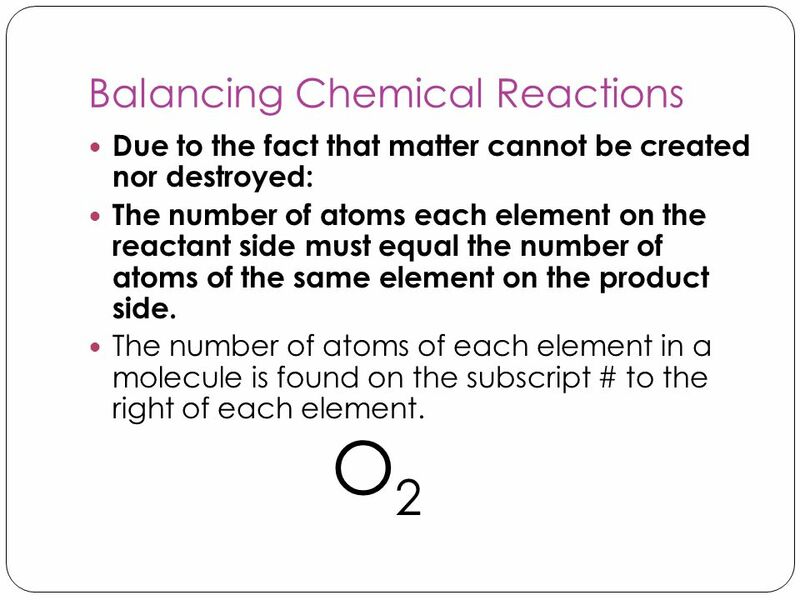 Chemistry is the study of matter. Matter is anything that has mass and takes up space. All organisms in Biology are made up of matter. 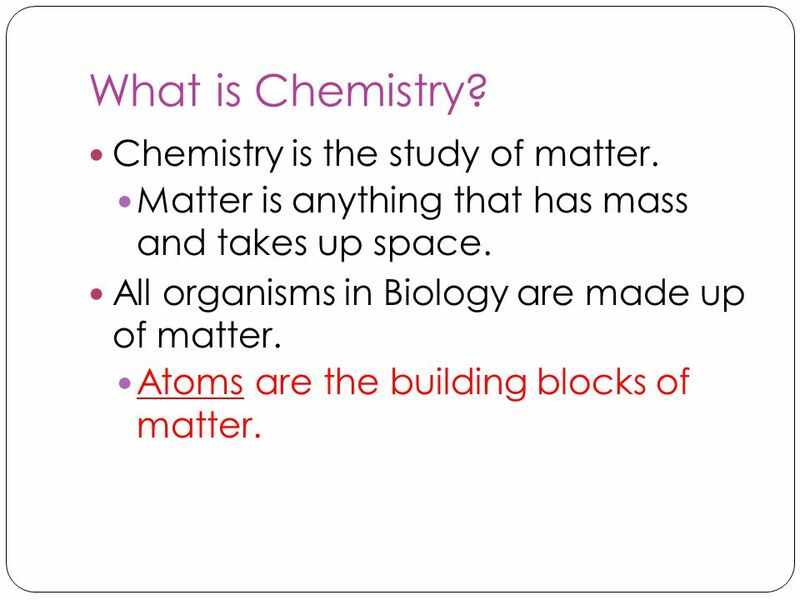 Atoms are the building blocks of matter. 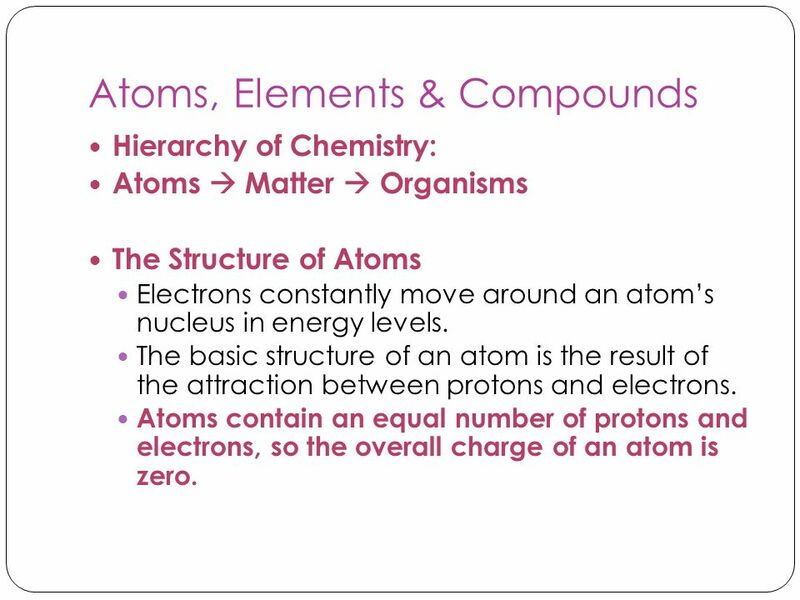 Hierarchy of Chemistry: Atoms  Matter  Organisms The Structure of Atoms Electrons constantly move around an atom’s nucleus in energy levels. 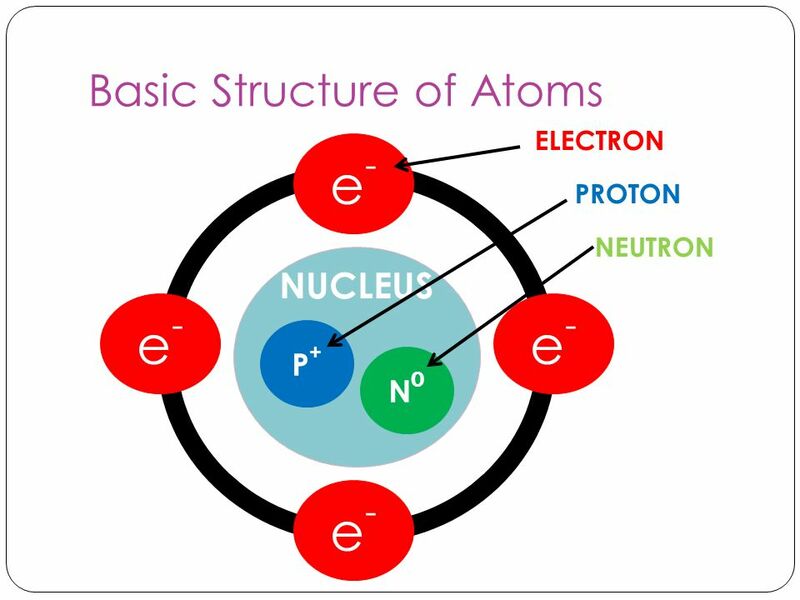 The basic structure of an atom is the result of the attraction between protons and electrons. 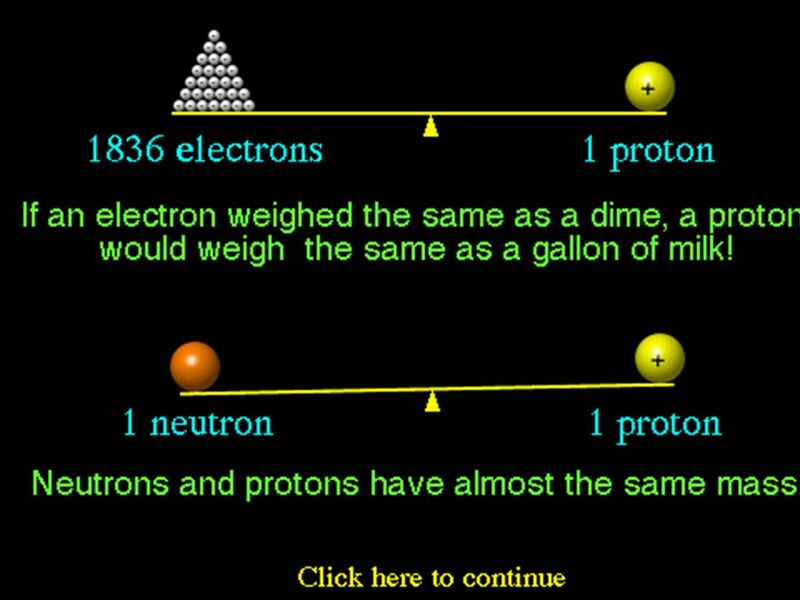 Atoms contain an equal number of protons and electrons, so the overall charge of an atom is zero. 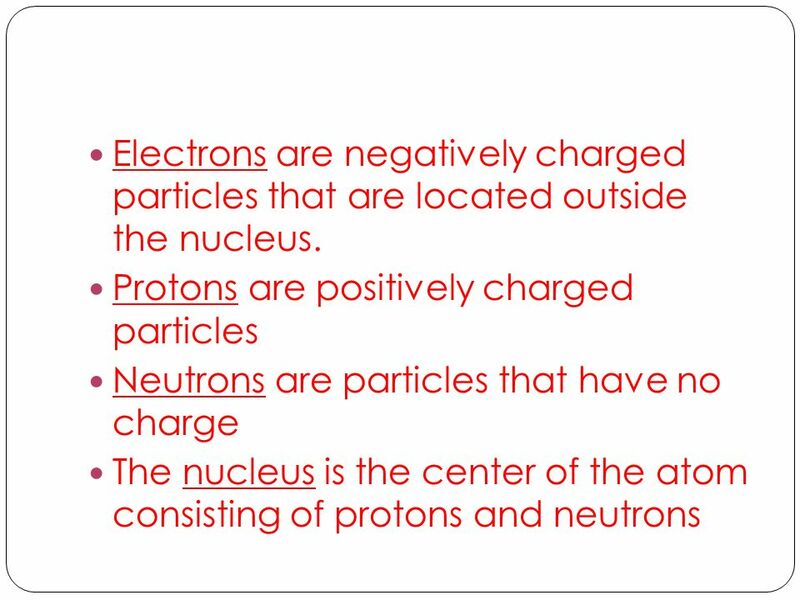 8 Electrons are negatively charged particles that are located outside the nucleus. 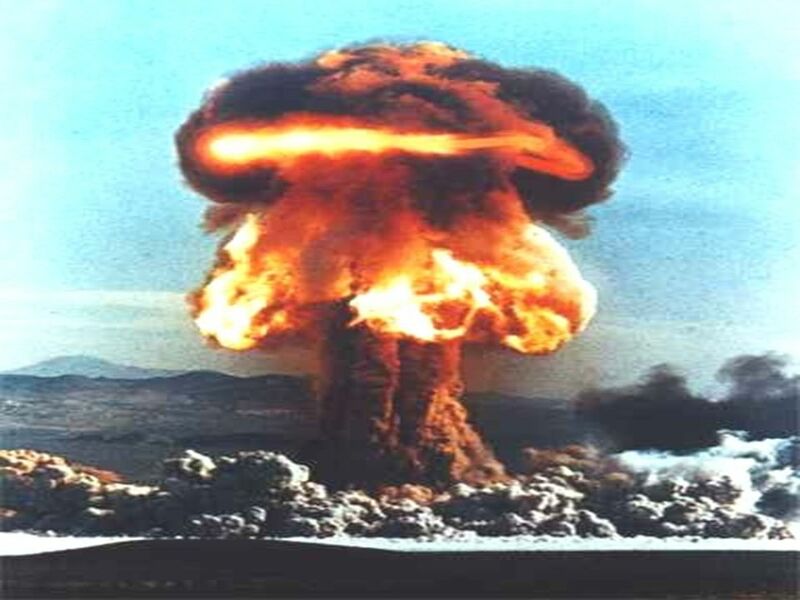 There are over 100 known elements, 92 which occur naturally. 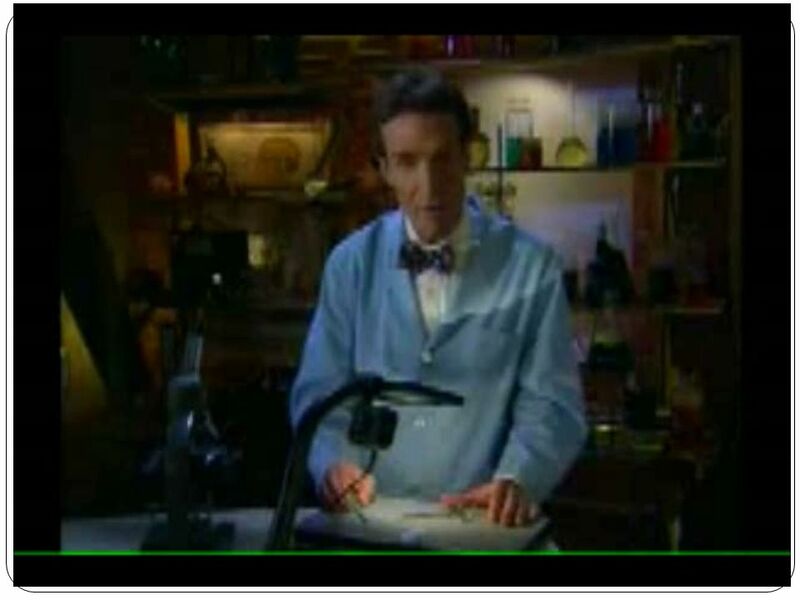 Each element has: Atomic mass Unique name Unique symbol All elements make up the periodic table. 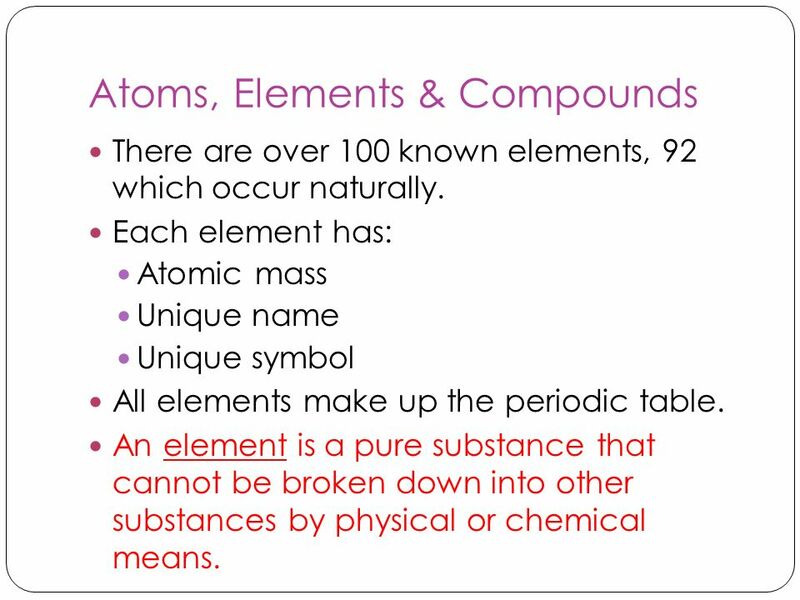 An element is a pure substance that cannot be broken down into other substances by physical or chemical means. 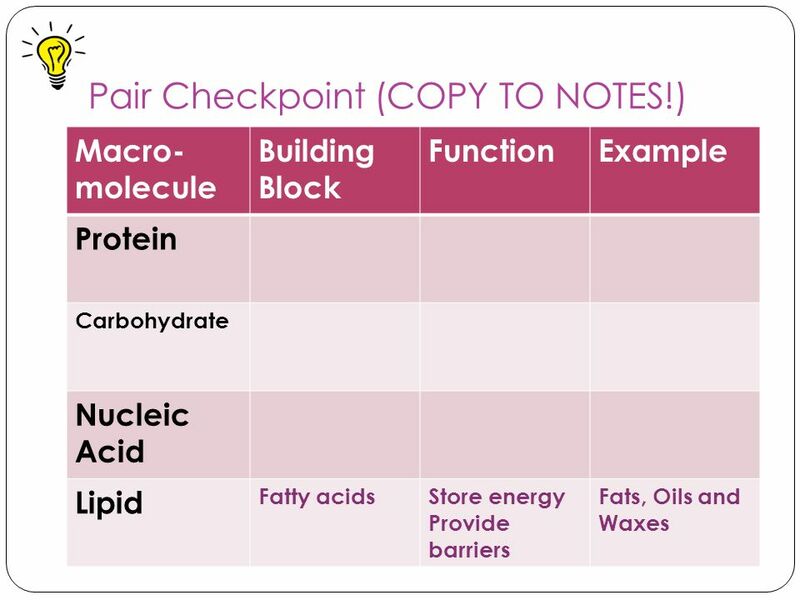 Categorized by similar chemical & physical properties. 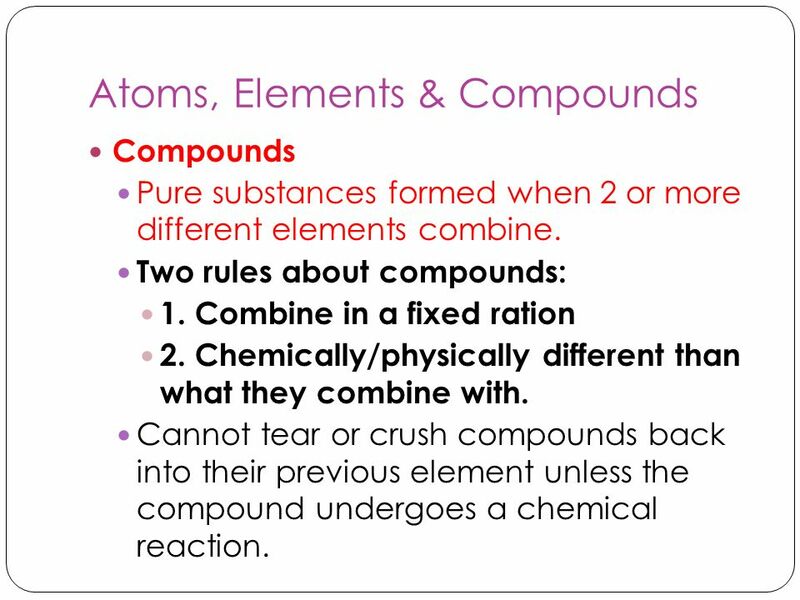 Pure substances formed when 2 or more different elements combine. Two rules about compounds: 1. Combine in a fixed ration 2. 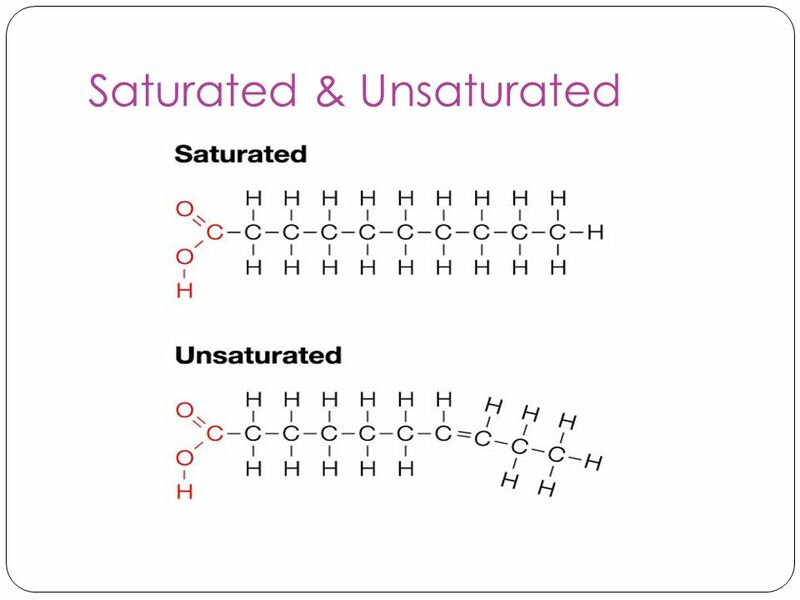 Chemically/physically different than what they combine with. 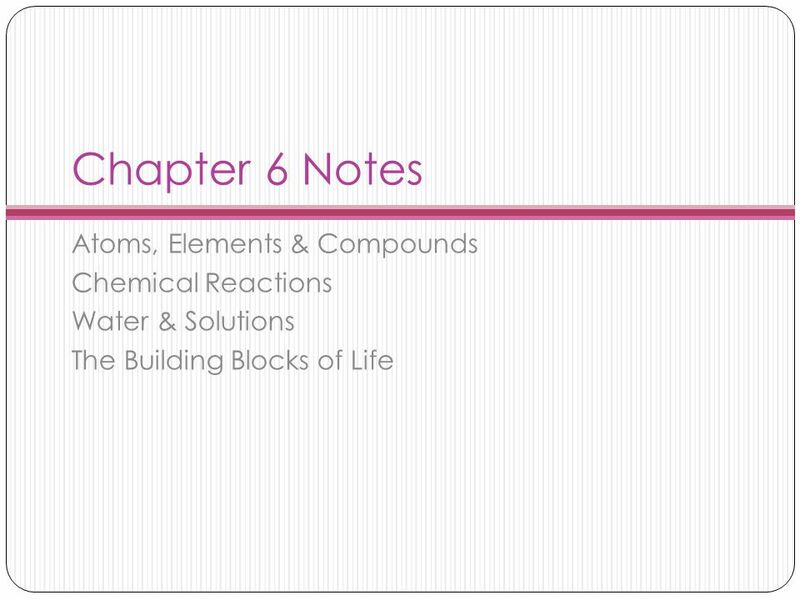 Cannot tear or crush compounds back into their previous element unless the compound undergoes a chemical reaction. 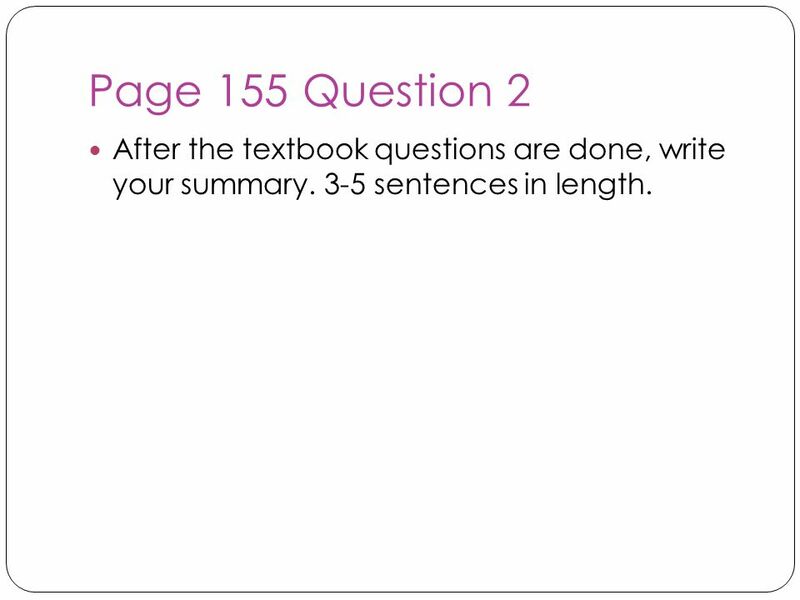 13 Page 155 Question 2 After the textbook questions are done, write your summary. 3-5 sentences in length. 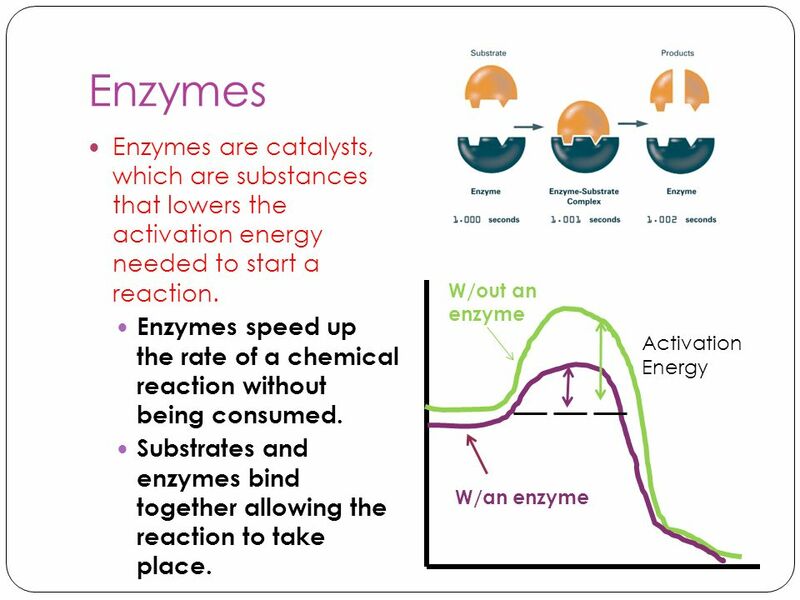 19 Chemical Reactions Some chemical reactions require activation energy. 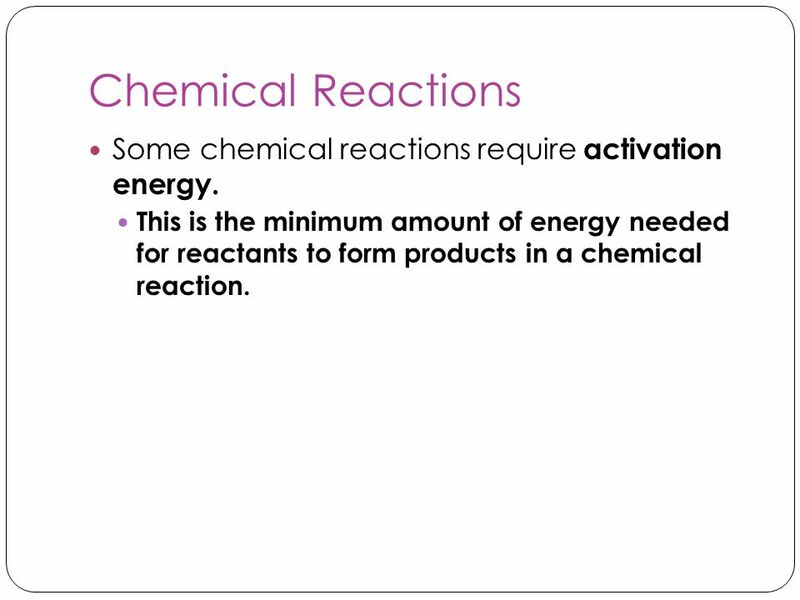 This is the minimum amount of energy needed for reactants to form products in a chemical reaction. 21 Chapter 6.2 Assessment ?’s PUT WITH YOUR NOTES!!! 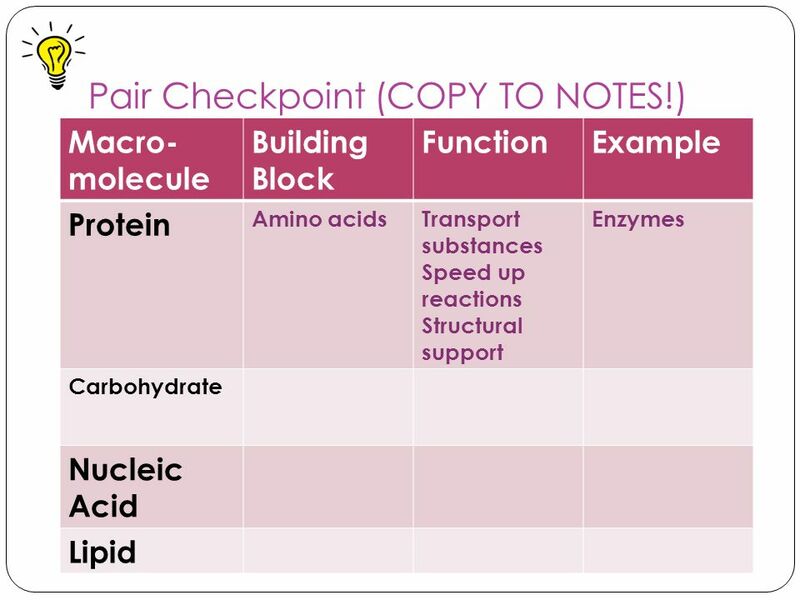 On page 160 answer questions 1-4. Please write out the question. 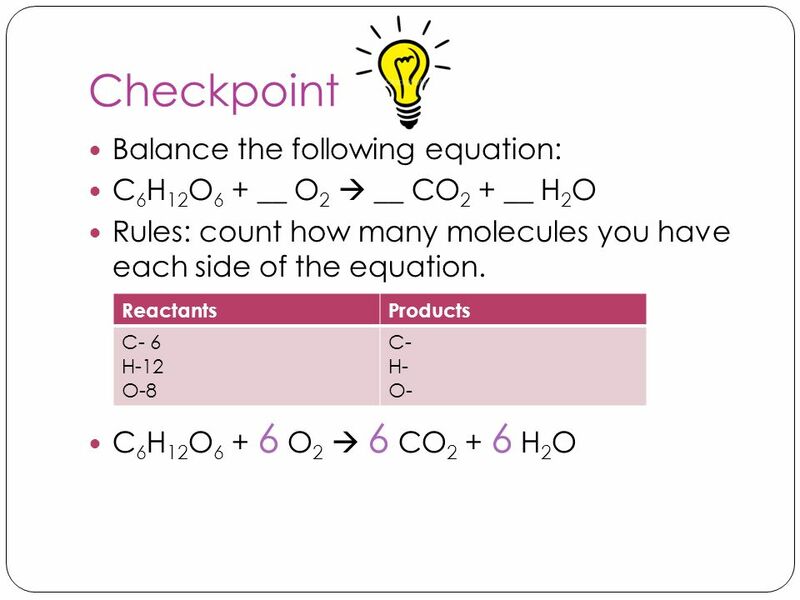 NOW make sure you have 4 ?’s on the left side excluding your checkpoint ?’s and assessment ?’s. 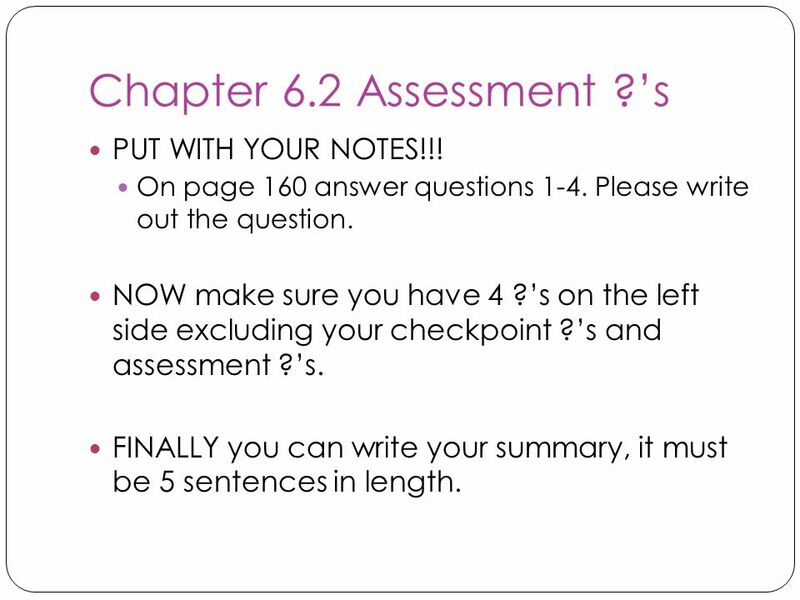 FINALLY you can write your summary, it must be 5 sentences in length. 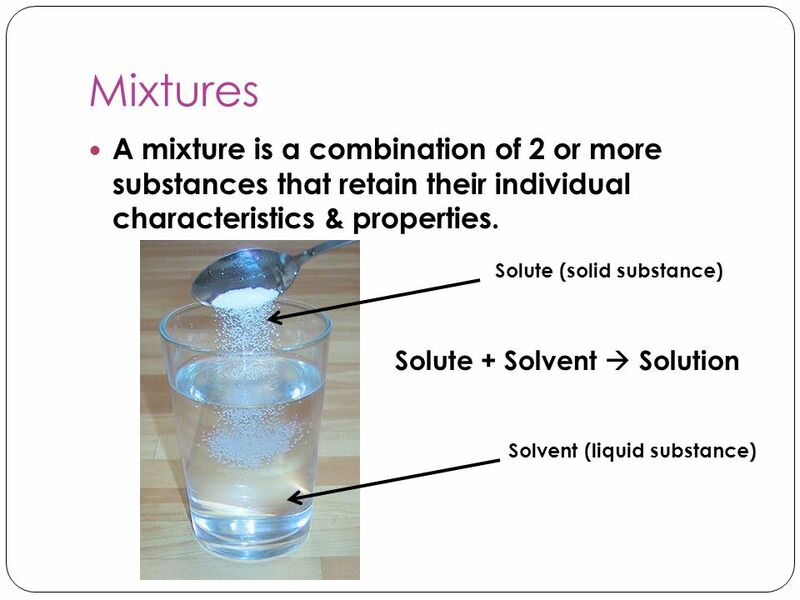 25 Types of Mixtures Forms 1 uniform solution. 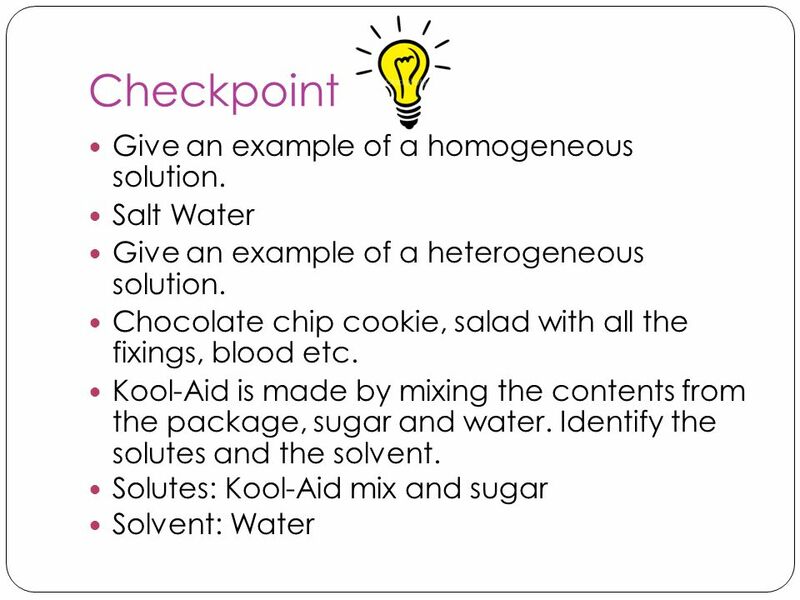 Homogeneous (Solutions) Heterogeneous (Suspensions) Forms 1 uniform solution. 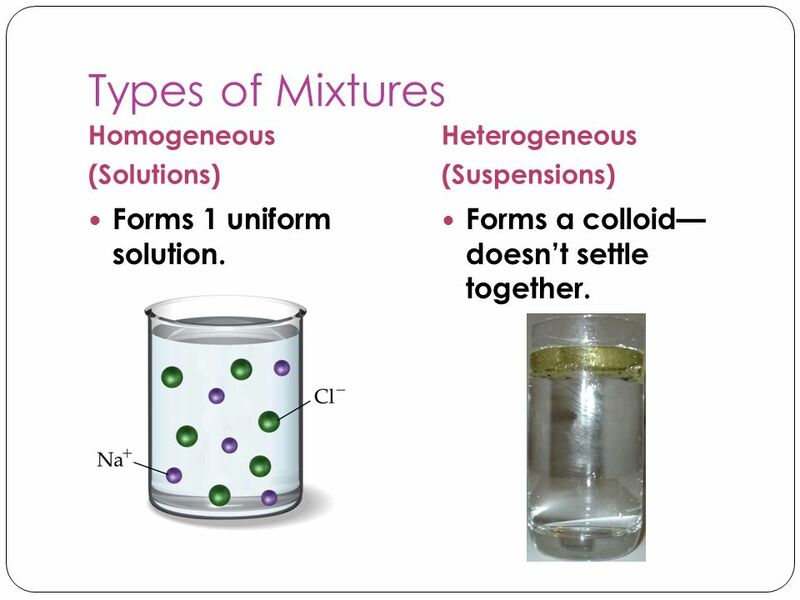 Forms a colloid— doesn’t settle together. 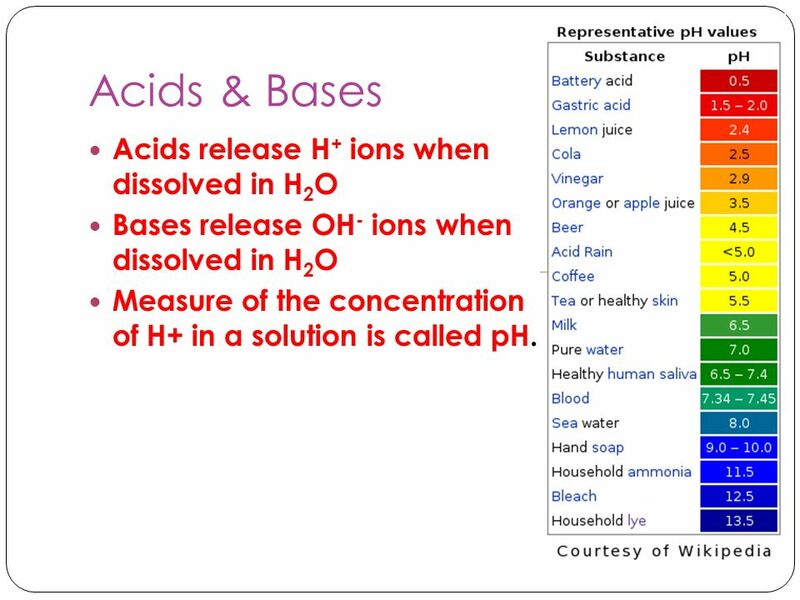 Bases release OH- ions when dissolved in H2O Measure of the concentration of H+ in a solution is called pH. Electrons constantly move around an atom’s nucleus in energy levels. 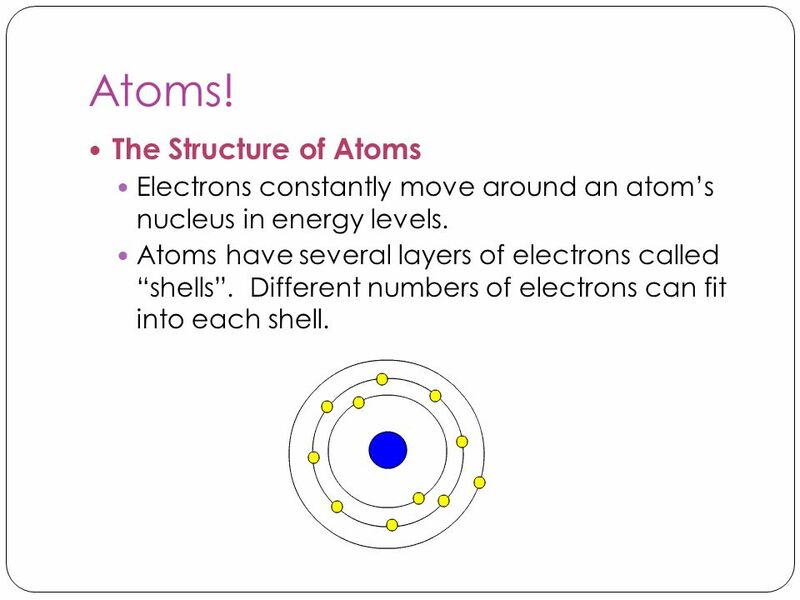 Atoms have several layers of electrons called “shells”. 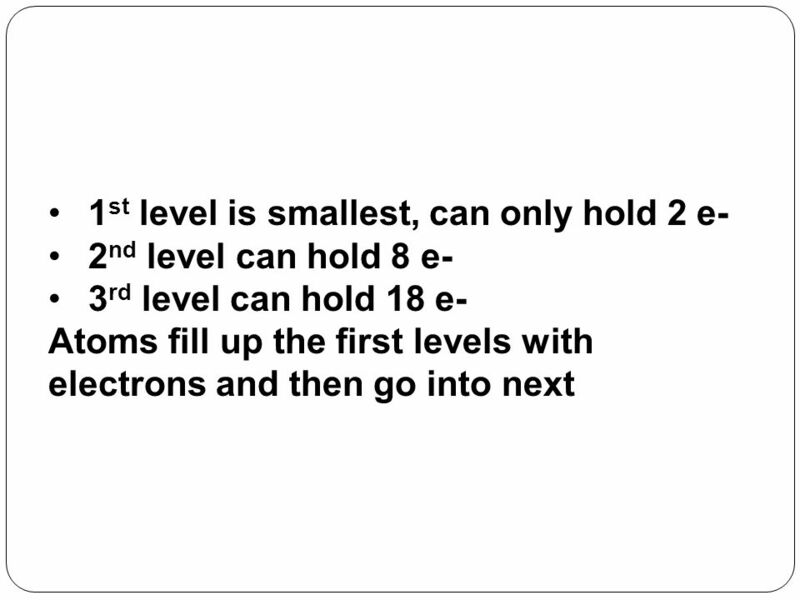 Different numbers of electrons can fit into each shell. 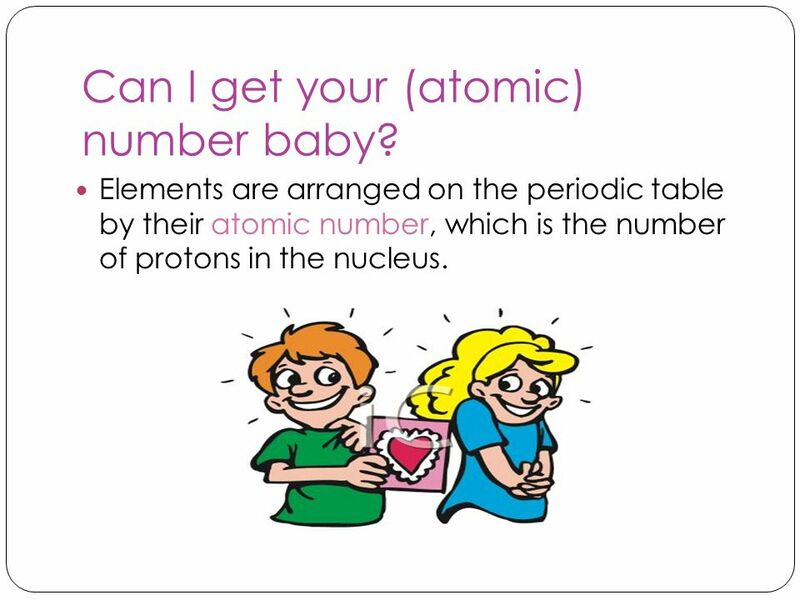 34 Can I get your (atomic) number baby? 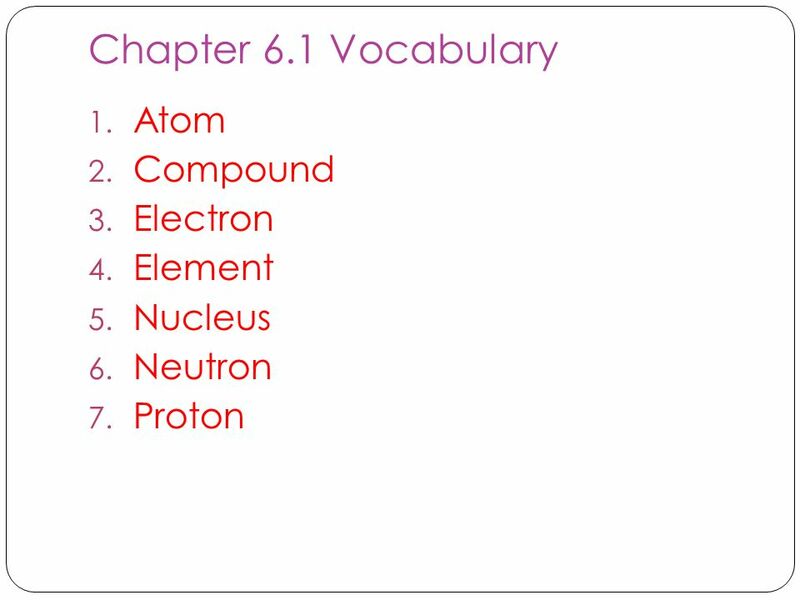 Elements are arranged on the periodic table by their atomic number, which is the number of protons in the nucleus. 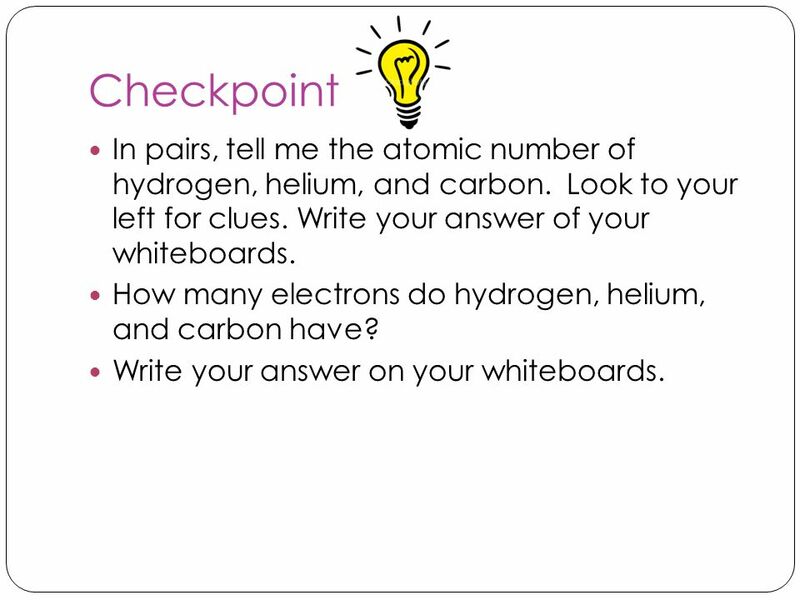 35 Checkpoint In pairs, tell me the atomic number of hydrogen, helium, and carbon. Look to your left for clues. Write your answer of your whiteboards. 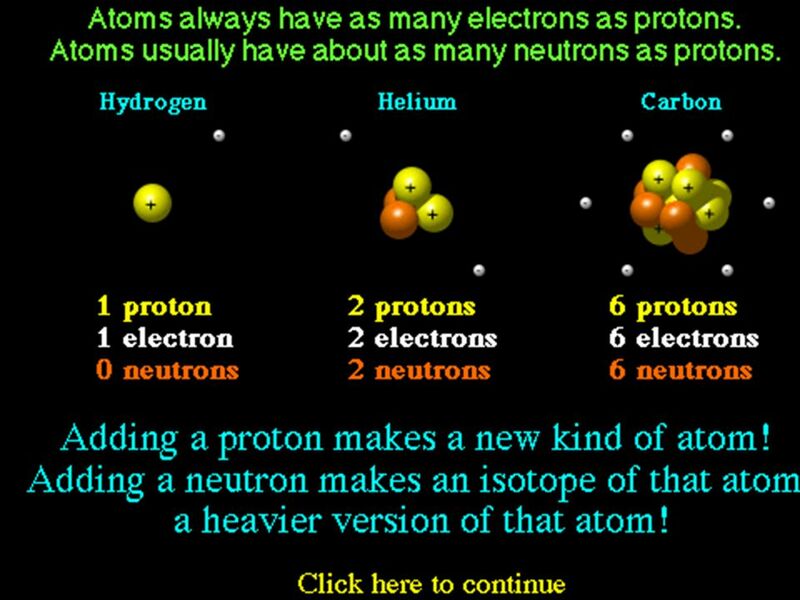 How many electrons do hydrogen, helium, and carbon have? Write your answer on your whiteboards. 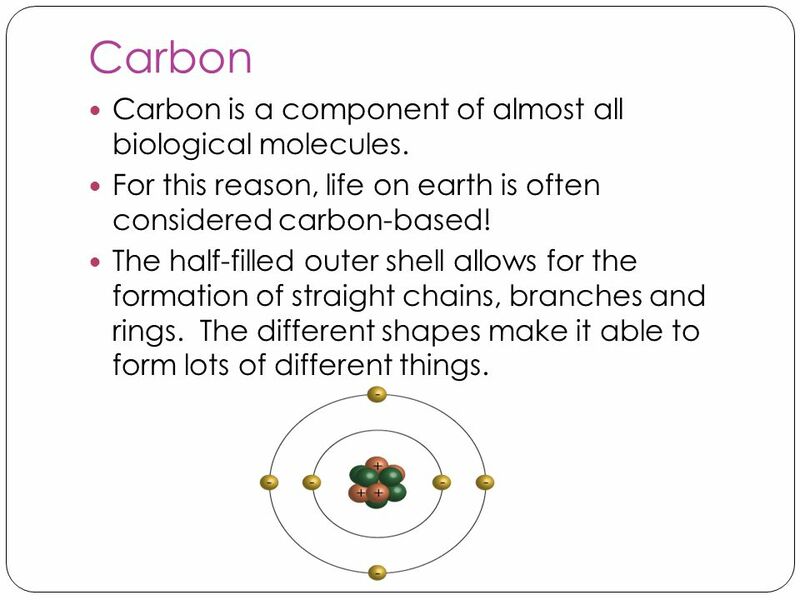 39 Carbon Carbon is a component of almost all biological molecules. For this reason, life on earth is often considered carbon-based! The half-filled outer shell allows for the formation of straight chains, branches and rings. The different shapes make it able to form lots of different things. 43 Carbohydrate Compounds made of C, H, and O, usually seen as (CH2O)n .
N indicates the number of compounds that are connected. 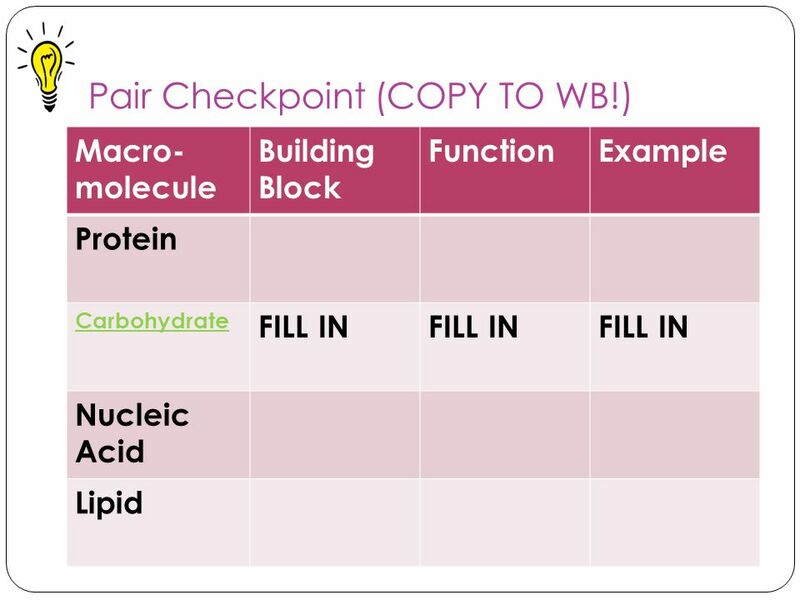 The building blocks of carbohydrates are monosaccharides (simple sugars) that contain 3 to 7 compounds and: Polysaccharides that contain 8 or more compounds. Examples include glycogen which can be broken down into glucose. 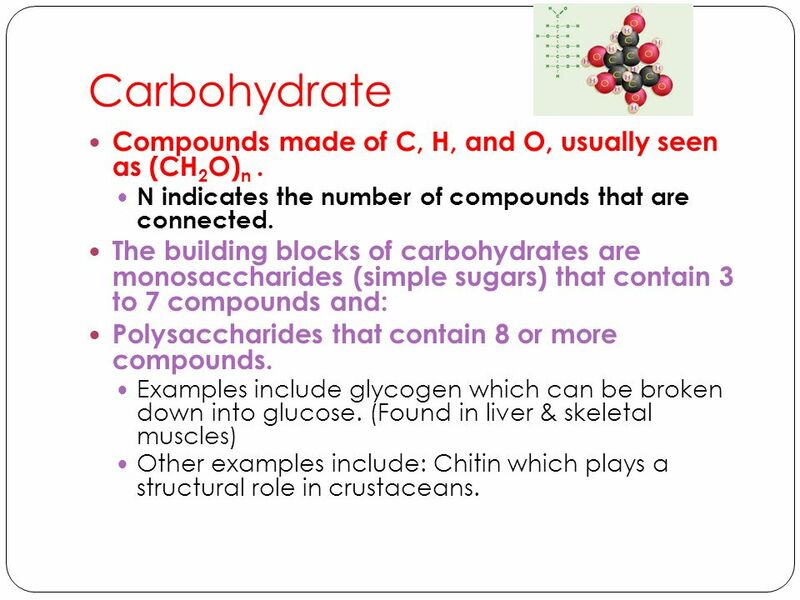 (Found in liver & skeletal muscles) Other examples include: Chitin which plays a structural role in crustaceans. 50 Proteins A protein is a compound made of small carbon compounds called amino acids. 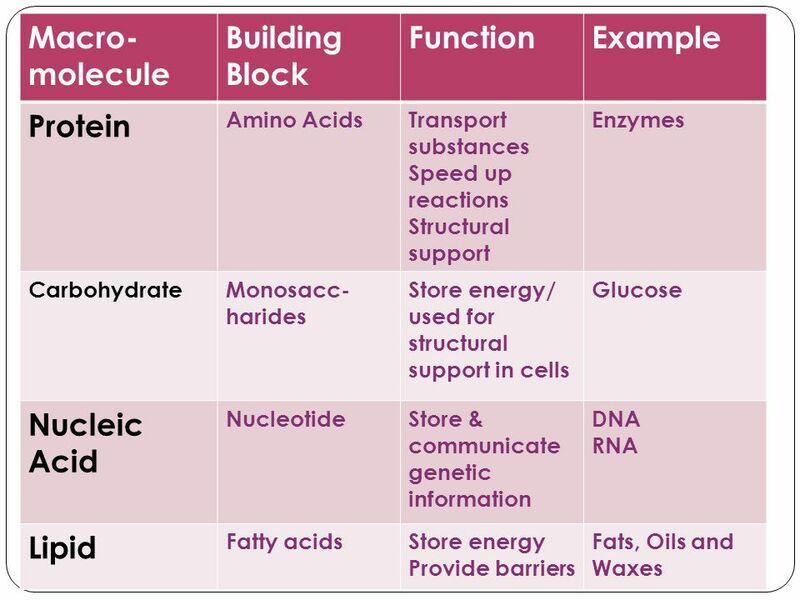 Amino acids are small compounds that are made of C, N, O, H and sometimes S. Amino Acids There are 22 different types of amino acids. 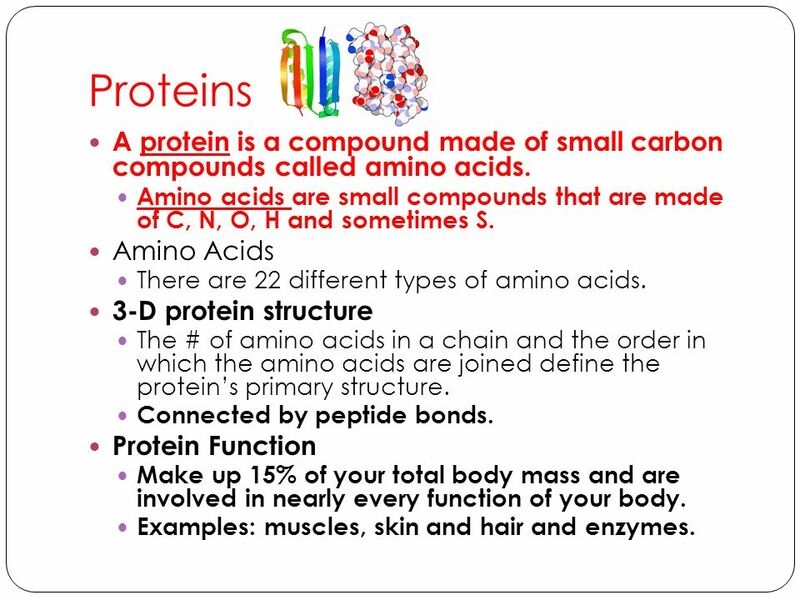 3-D protein structure The # of amino acids in a chain and the order in which the amino acids are joined define the protein’s primary structure. 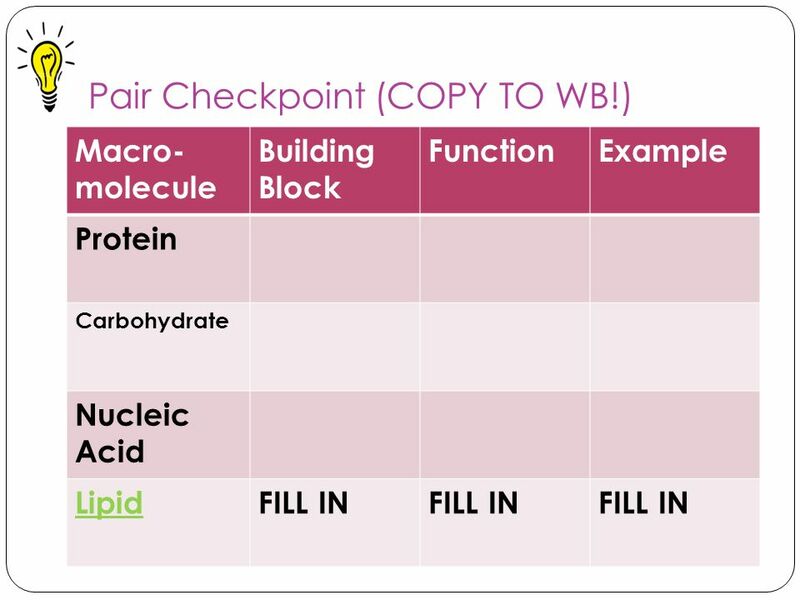 Connected by peptide bonds. 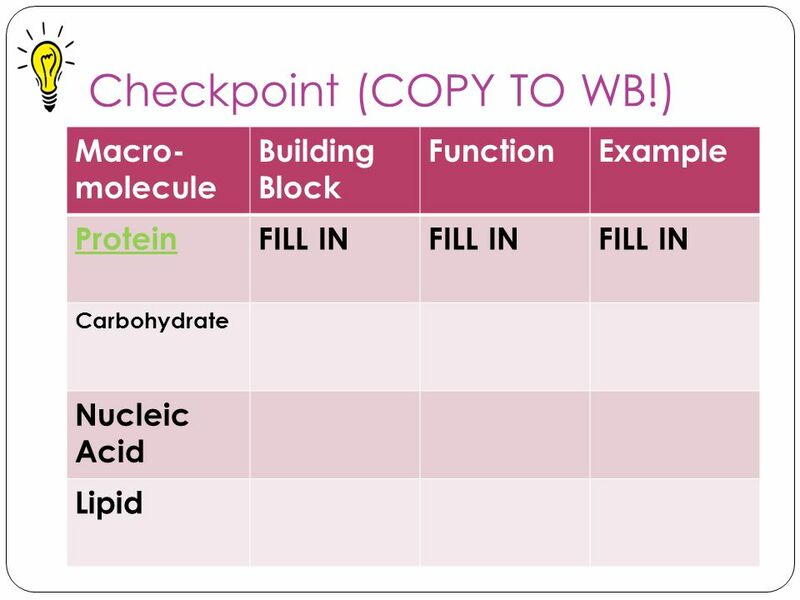 Protein Function Make up 15% of your total body mass and are involved in nearly every function of your body. 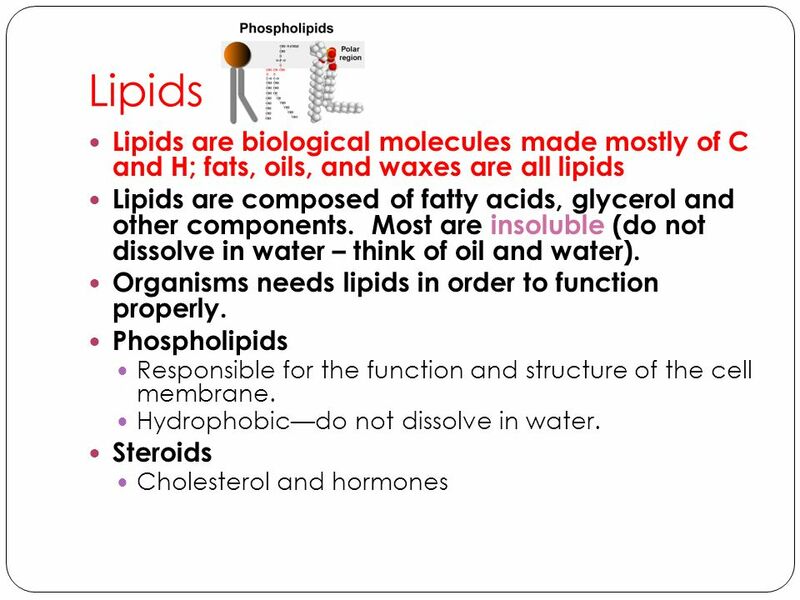 Examples: muscles, skin and hair and enzymes. 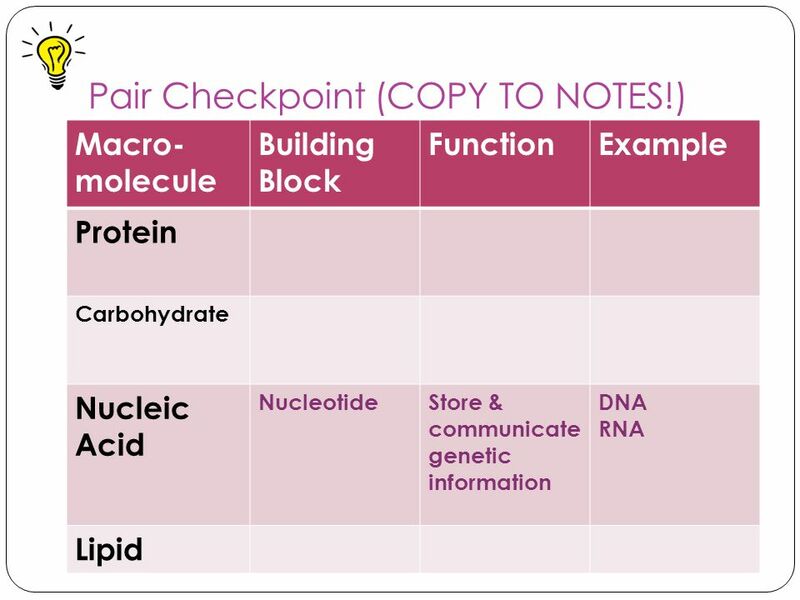 53 Nucleic Acids Nucleic Acids are complex macromolecules that store and transmit genetic information. 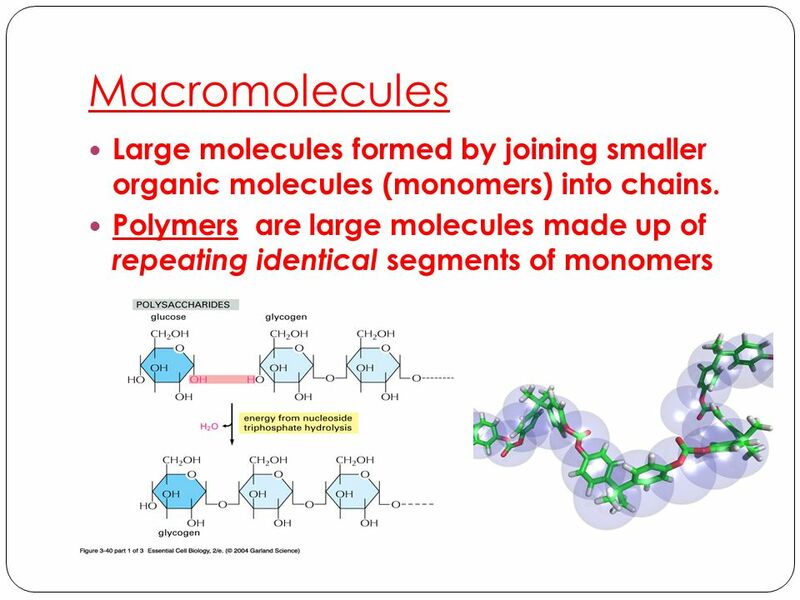 Nucleotides are small repeating units that make up nucleic acids. 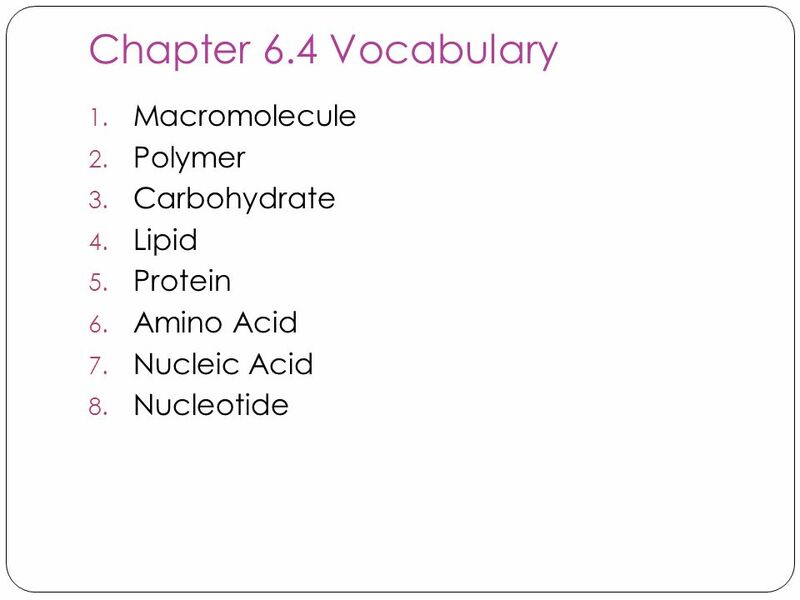 Nucleotides are composed of C, N, O, P and H. There are 6 major nucleotides all contain a phosphate, nitrogenous base and a ribose sugar. 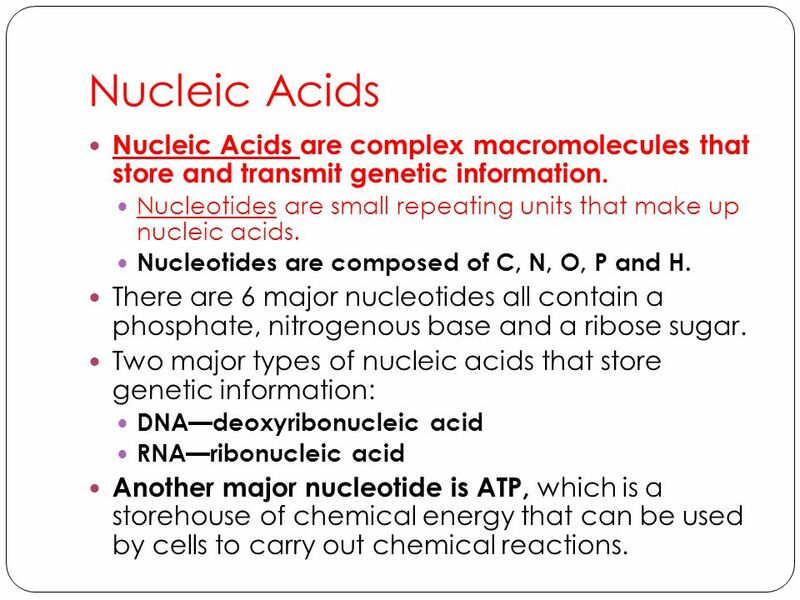 Two major types of nucleic acids that store genetic information: DNA—deoxyribonucleic acid RNA—ribonucleic acid Another major nucleotide is ATP, which is a storehouse of chemical energy that can be used by cells to carry out chemical reactions. 56 Practice! In pairs, answer #’s on page I will call on pairs to give their answers. 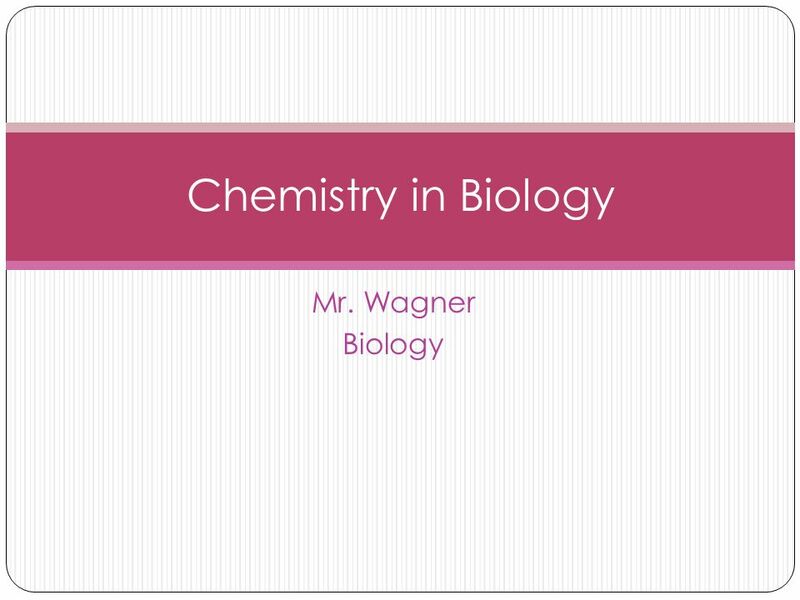 Download ppt "Chemistry in Biology Mr. Wagner Biology." What is it that makes up an atom? 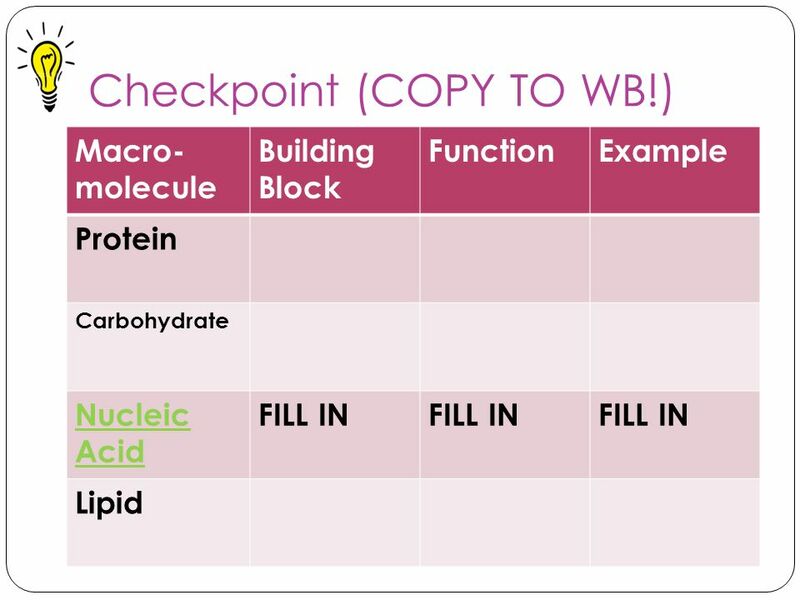 Chemistry of Biology. What is Matter? Anything that has mass and volume. Do Now  What is matter? 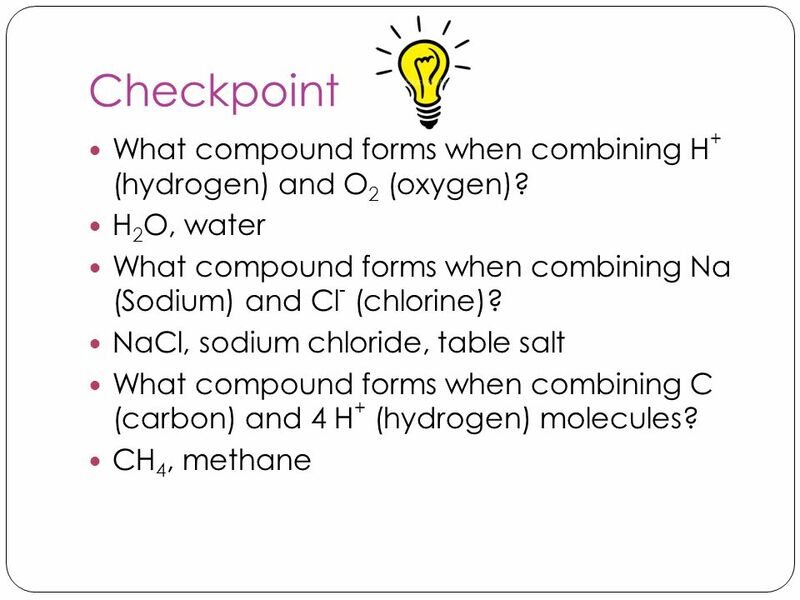  What are elements? 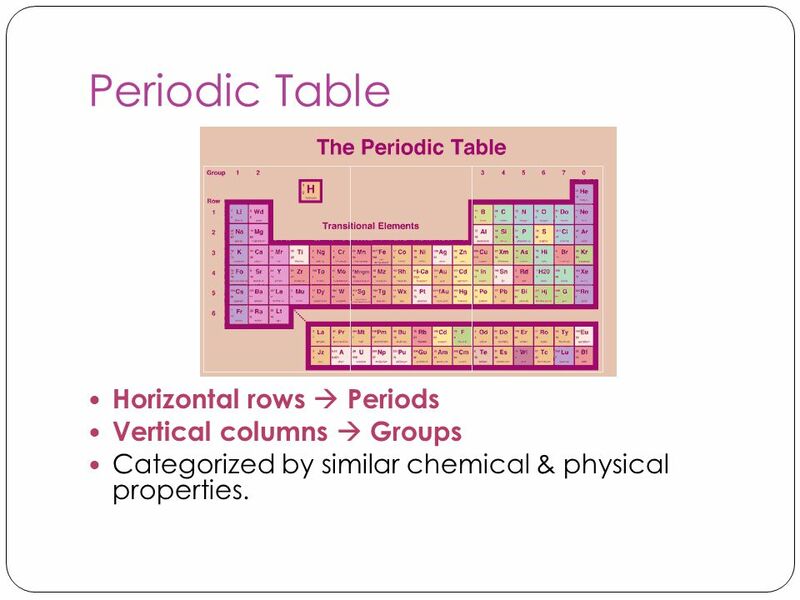  What is the periodic table used for?  What is matter?  What are elements?  What is the periodic table. Living things consist of atoms of different elements. Chemistry of Life. n Matter -- anything that has MASS and takes up SPACE n EVERYTHING is made of matter. 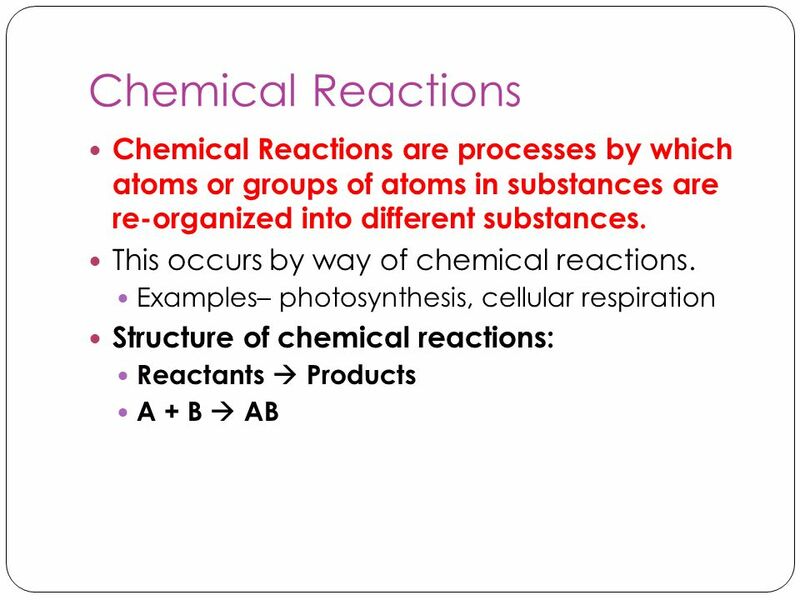 THE CHEMISTRY OF LIFE Organic chemistry – the study of all compounds that contain bonds between carbon atoms. Basic Chemistry. I. Matter Basic material of the universe 4 states II. 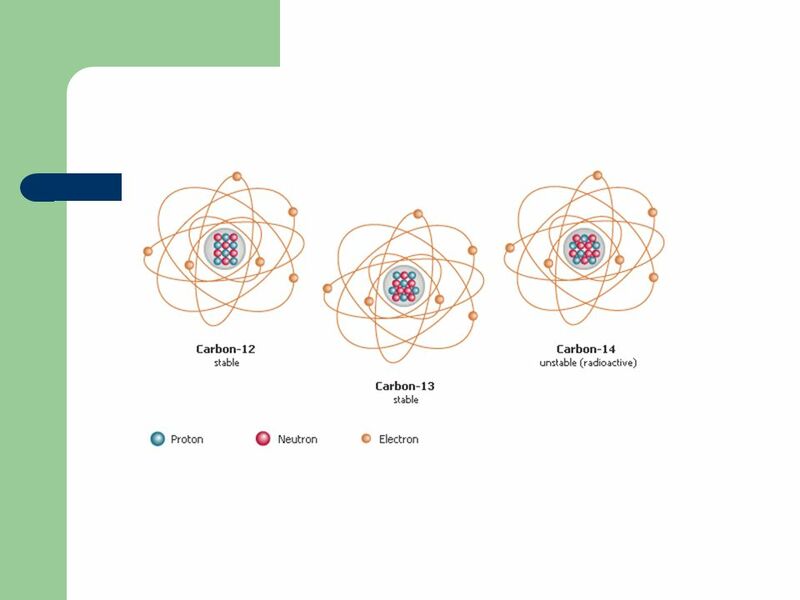 Atoms that have their own distinct properties and are classified on. 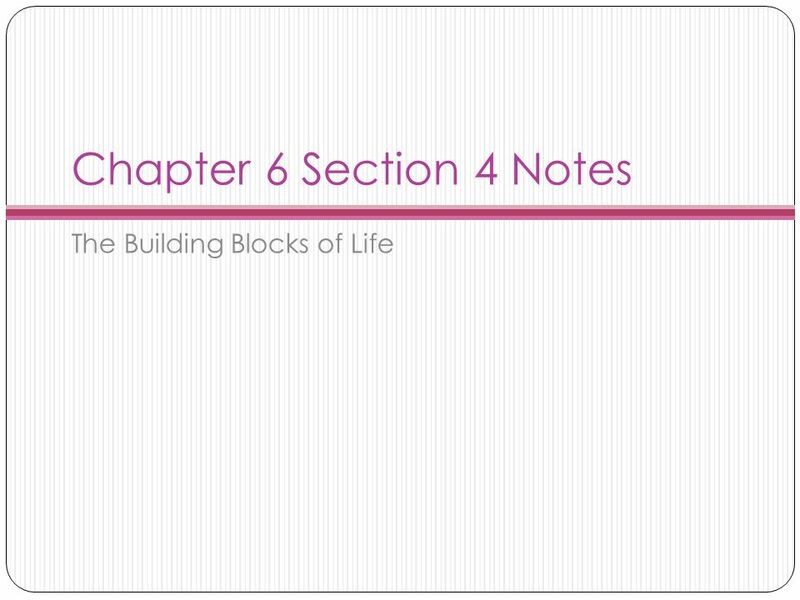 KEY CONCEPT All living things are based on atoms and their interactions. 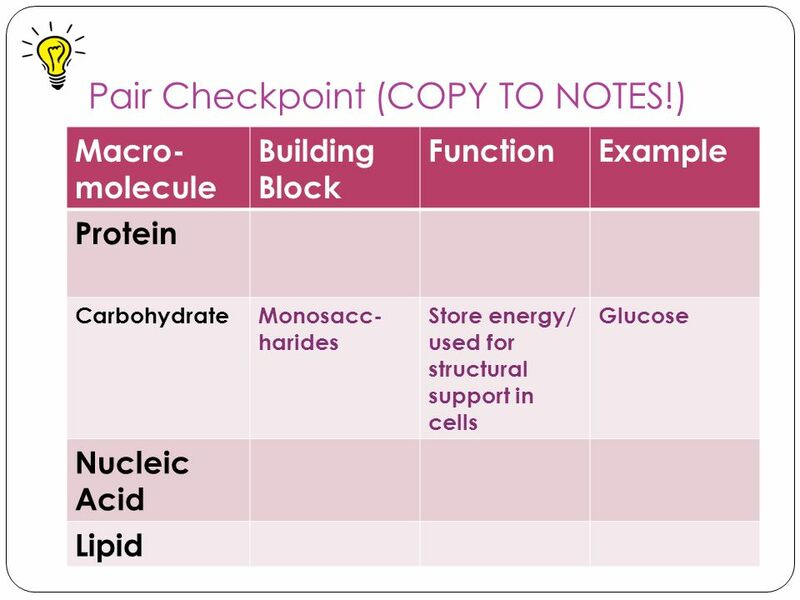 Chapter 2: Macromolecules.